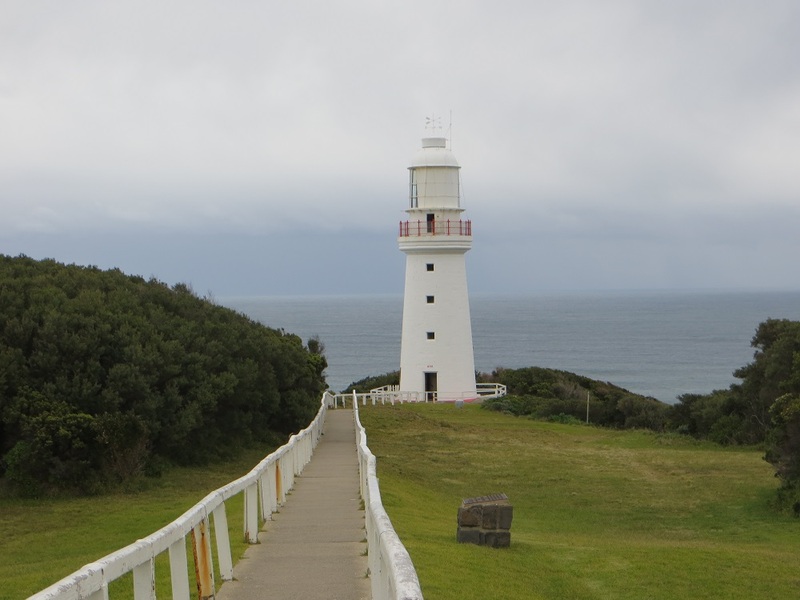 “Welcome to Australia’s most significant lighthouse,” said the brochure for Cape Otway Lightstation. “Welcome to Australia’s most significant lighthouse,” said the old man in a Victorian keeper’s uniform, sitting in the telegraph station at Cape Otway Lightstation. The old man cackled. “Because I work here.” He cackled again, then turned to the next group of visitors. Why do I have no luck with interpreters? I had to wait until I got to a computer to learn that the Cape Otway Lighthouse is the oldest surviving lighthouse on the Australian mainland, in operation since 1848. The station is also home to the restored telegraph station, a World War II radar bunker, a tiny museum, and several keepers houses. The keeper’s houses are for rent to tourists. 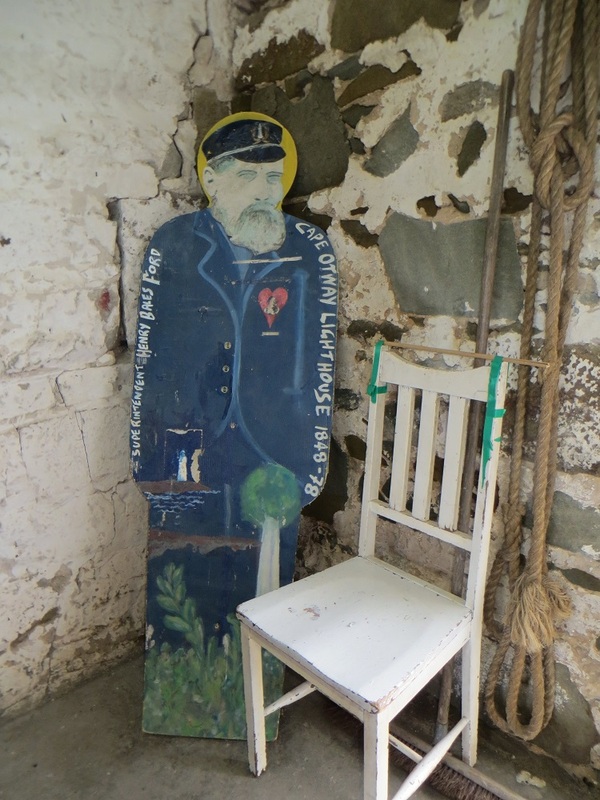 That cardboard cutout above, found in the museum, is of Henry Bales Ford, the lighthouse keeper at Cape Otway from 1848 to 1878. I moved the cutout to position it for a better photo and screamed a little scream when I found that there was a tiny, child-sized coffin behind it. Henry and his wife, Mary, had seven children, at least some (I don’t remember how many) of whom died in childhood. So I’m guessing that the coffin was once part of the exhibit. 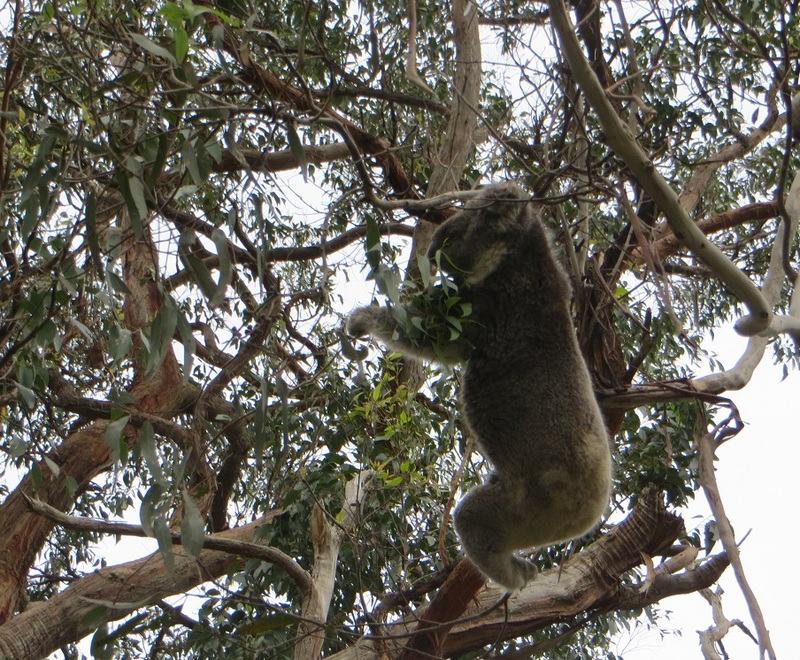 The lighthouse is in the Great Otway National Park and on our way to the lighthouse, I saw my first koalas. I looked up into the trees and there they were, just hanging around. Gallery | This entry was posted in Victoria, Australia and tagged Cape Otway, Cape Otway Lighthouse, Great Otway National Park, Henry Bales Ford. Bookmark the permalink. Your story about the “significant” lighthouse and “keeper” who worked there made me laugh. That’s what I like about travel, you meet fun and kooky people. So true. I’ve met a ton of interesting people through my travels — more than a few of them kookier than the average.